Looking to jazz up your java? 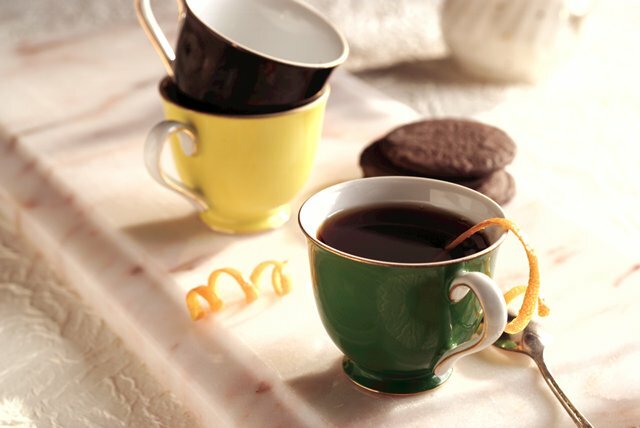 Then this delish coffee drink, flavored with orange zest and brandy, should be on your to-make list. Dissolve coffee granules and sugar in boiling water in saucepan. Reheat just to boiling point. Stir in brandy. Pour evenly into 12 demitasse cups. Twist strips of zest; add 1 strip to each cup. Prepare as directed, using YUBAN Instant Coffee or SANKA Brand 97% Caffeine Free Instant Coffee. Substitute rum or your favorite fruit flavored liqueur for the brandy. Makes 12 servings, about 1/3 cup each.